We looked at the top 10 Trail Cameras and dug through the reviews from 58 of the most popular review sites including Game Camera World, Trail Cameras Reviews, BestReviews, Best Trail Camera Reviews, Trail Camera Lab, The Trail Camera Reviews and more. The result is a ranking of the best Trail Cameras. Our experts reviewed the top 10 Trail Cameras and also dug through the reviews from 58 of the most popular review sites including Game Camera World, Trail Cameras Reviews, BestReviews, Best Trail Camera Reviews, Trail Camera Lab, The Trail Camera Reviews and more. The result is a ranking of the best of the best Trail Cameras. Distance is the Bushnell Trail Camera's strength, with the ability to capture images of objects located more than 60 feet away. You can also use this trail camera in time-lapse mode, capturing any images picked up by the motion sensor along the way. The Bushnell has the quickest trigger speed, taking only 0.3 seconds to snap a photo after detection. DWYM Outdoor and Garden Experts plus BestReviews, Trail Cameras Reviews, Game Camera World. Along with user reviews from Amazon and Walmart.
" clear, vibrant images. Fast trigger speed and long battery life." 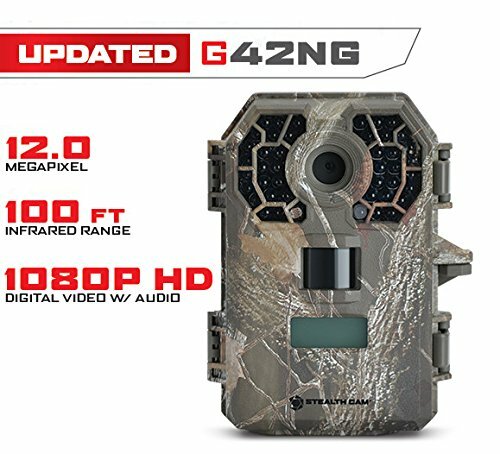 "The 720P video taking on this trail cam is good but not on par with the 1080P resolution that many other trail cam models have." The Browning Trail Camera is pricier than other options while also lacking features that more affordable models have. You'll get time-lapse mode, which features motion-detection capture when in place. However, it also runs on six AA batteries, which can mean that you'll have to replace them more often. DWYM Outdoor and Garden Experts plus BestReviews, Trail Cameras Reviews, Best Trail Camera Reviews, Trail Camera Lab, Game Camera World, The Trail Camera Reviews. Along with user reviews from Amazon and Walmart.
" Performance rivals that of much pricier models. Takes up to 2 minutes of video. Fast trigger speed and recovery time." "They only use 6 AA batteries which can make for shorter battery life"
With video at 1080p resolution and a trigger speed of 0.5 seconds, the Victure Trail Camera is worth considering. The housing is IP66 waterproof, which will help your camera survive the great outdoors throughout the year. You'll also get high-quality 12 MP images so that you can better see what your camera is capturing. DWYM Outdoor and Garden Experts plus BestReviews, SpyGear Co. Along with user reviews from Amazon.
" An affordable but durable model that offers good picture quality for the price, as it delivers 12 MP resolution. Has waterproof housing and playback function." You can shoot 15-second videos with the Moultrie Trail Camera, as well as increase your storage using memory cards up to 32GB. The Moultrie has a slower trigger speed than competitors, but it still shoots relatively fast at only 0.7 seconds. Its price puts it midrange between lower-priced and higher-priced competitors. DWYM Outdoor and Garden Experts plus BestReviews, Game Camera World, Trail Cameras Reviews, Best Trail Camera Reviews, The Trail Camera Reviews. Along with user reviews from Amazon.
" Impressive 0.7-second trigger speed and 2 video resolution options. Sturdy, weatherproof unit accommodates memory cards up to 32GB." "The wrong side of this product is thee; with the “freeze” motion thing on some of the detail is lost at night." We identified the majority of the trail cameras available to purchase. 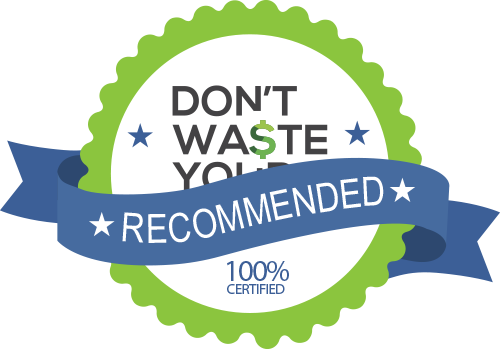 Reviews from our DWYM category experts and analysis of some of the most respected sources including: Game Camera World, Trail Cameras Reviews, BestReviews, Best Trail Camera Reviews, Trail Camera Lab. We also incorporate user reviews from the leading retailers including Amazon, Walmart, Best Buy. clear, vibrant images. Fast trigger speed and long battery life. At 12 megapixels max resolution it’s on par with many other cameras as far as photo taking is concerned. It can take an excellent day and nighttime photos. It can sense movements that are happening nearby or even when it is far as long as it is within the range of 80 feet. However, nighttime photos can be blurry because the sensor might have a hard time adjusting to the movements of the creatures so basically it depends upon the subject. An affordable but durable model that offers good picture quality for the price, as it delivers 12 MP resolution. Has waterproof housing and playback function. Has a learning curve to master its functions, and the confusing owner's manual isn't very helpful. Hunters can spend hours sitting in the woods, waiting for game to pass by. In some cases, they may not even know the best hunting ground, especially if they’re newer to the sport. One way to avoid spending hours in wait is to use a trail camera to monitor the habits of your prey so that you can then prepare to show up when you’re most likely to get results. As trail cameras have become more accessible to the average hunter, they’ve grown to be a very popular tool. In fact, you’ll rarely meet an avid hunter who doesn’t own at least one. You may even find that you’re more excited about the pictures you’re capturing on a daily basis than the activity of hunting itself. By the time you get around to your next hunt, you’ll already be all too familiar with the spot you’ve chosen. In addition to their value in stalking prey, though, trail cameras have become an affordable type of security camera. They’re designed to be easily mounted while also remaining fairly inconspicuous in colors like black, gray and camouflage. If you plan to use your camera this way, look for a trail camera that specializes in capturing video in night mode and, if you want it, you’ll need to make sure it records audio. Whether you’re waiting to capture intruders on your property or you’re using a trail cam for its original purpose, that invisibility is important. Some cameras use infrared lights or flashes to capture images at night, which could be an issue if you’re trying to keep it quiet that a camera is there. This is especially concerning if you’ve left it in the woods year-round since someone could come along and steal it. For extra security, though, you can buy a locking cable that will hold your camera in place. 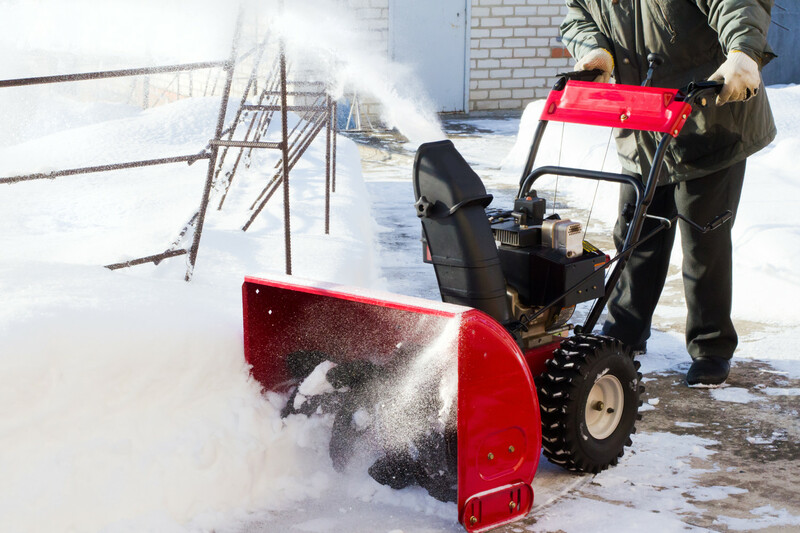 Although this won’t guarantee it can’t be stolen, it will act as a theft deterrent. There’s also the fact that your camera will capture photo and/or video of anyone who tries to steal it. That may also keep a thief away out of fear that the images might be streaming to an external source. You should also consider battery life while you’re shopping for a trail camera. Even if it’s only occasionally capturing images, you’ll be surprised how quickly your camera’s batteries need to be replaced. Some promise longer battery life than others, so look for this if it’s an important feature. How the images are captured is important as well. Many trail cameras operate in motion-sensor mode, only activating when something or someone comes into focus. With trail cameras, you’ll also have the option of time-lapse mode to gather images over a period even when no activity is present. Some cameras can even capture motion-detected shots while the time-lapse mode is in place. Lastly, there’s the issue of video. Some cameras shoot higher-quality video than others, even offering 1080P HD resolution. However, you may not find that this level of quality is essential. One feature that might be worth considering, though, is whether your camera captures audio along with the video it gathers. You’ll also be limited in the amount of video footage you can shoot, giving you only seconds before it cuts off. Trail cameras can help you identify the patterns for the deer you’re tracking. This will give you the best time to show up with weapons in tow. During the winter months, deer must look for vegetation in less secluded areas, which means you’ll often see them roaming around at night. However, they tend to walk long distances in the morning as they travel from their evening grazing spots to safer areas. Deer tend to be very sensitive to human odor. When you head out to hunt, you should also shower with scent-free soap and keep your clothing sealed in a bag until you arrive at your location. If possible, keep dirt and debris from your hunting location with you so you can get the scent on your clothing before you arrive at the location. One differentiating factor when you’re considering trail cameras is motion-sensor capability. The Bushnell Trail Camera will capture movement as far as 80 feet away, ensuring you never miss anything. Some cameras also have a time-lapse mode, which captures images over a predetermined period of time even if there’s no activity. The Bushnell Trail Camera lets you choose from intervals between one minute to an hour during a timeframe you choose. Both the Bushnell Trail Camera and the Browning Trail Camera continue to capture motion-detected shots even while in time-lapse mode. It would be nice if you could set up your trail camera at the start of hunting season and leave it there throughout. Unfortunately, trail cameras can burn through batteries at a surprising rate. The Bushnell Trail Camera promises true one-year battery life. The Browning Trail Camera, on the other hand, uses 6 AA batteries, which means you’ll probably find you’re changing them more often than you’d prefer. You can save on battery life by adjusting your trail camera’s settings. You won’t be shooting only still images using your trail camera. The clearer the video, the better you’ll be able to monitor your prey. The Victure Trail Camera captures video in 1080p HD resolution. Although the Bushnell Trail Camera and Browning Trail Camera aren’t 1080p, they still provide impressive results. You’ll also need to check into the time limits on your trail camera’s video. 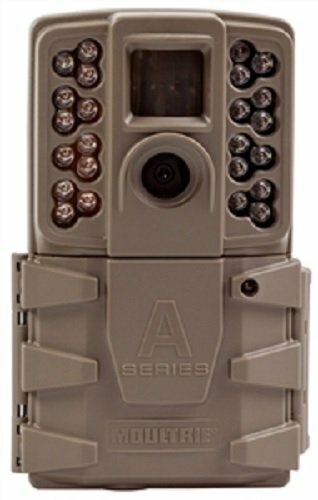 The Bushnell Trail Camera can shoot between 5 to 60 seconds of video, depending on how you program it. 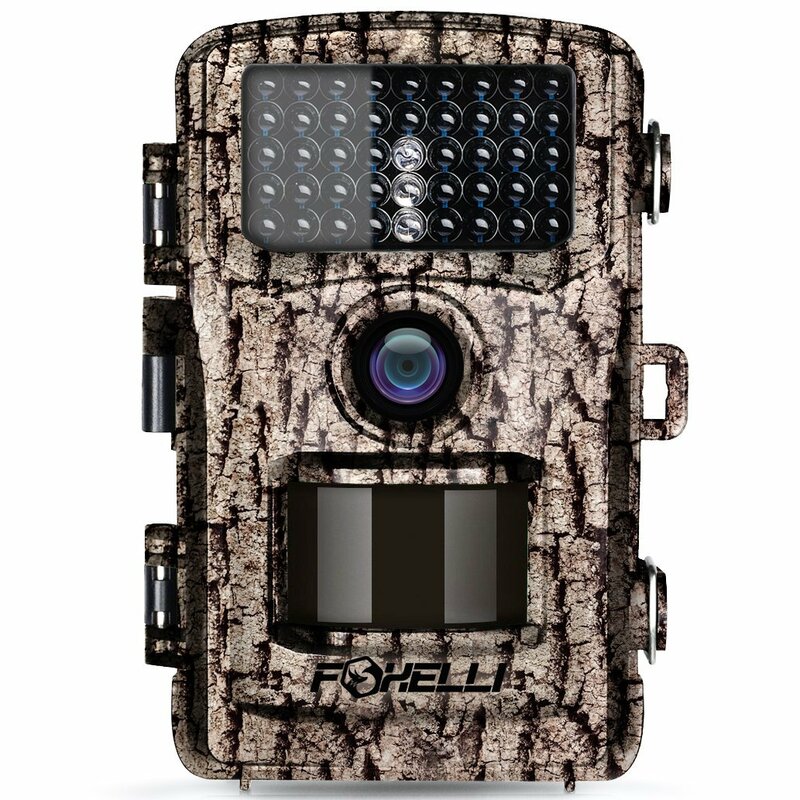 The Browning Trail Camera can capture up to two minutes of video, while the Moultrie Trail Camera can shoot 15-second videos. When prey does wander into the camera’s range, it’s important that reaction time be as quick as possible. The Bushnell Trail Camera has the fastest trigger speed, at 0.3 seconds, followed closely by the Browning Trail Camera, at 0.4 seconds, and the Victure Trail Camera at 0.5 seconds. The Moultrie lags behind in this area but still boasts an impressive 0.7-second trigger. The very nature of trail cameras means they’ll be exposed to weather conditions 24 hours a day. That includes rain, snow, sleet and even extreme storms, depending on the part of the country where you live and hunt. The Victure Trail Camera has a housing that is IP66 waterproof, but it also has drop resistance. Many of the trail cameras you’ll find will be waterproof, but make sure to check before buying. Also be aware that even if it’s waterproof, there will still be the occasional raindrop or dirt particle that will obscure your view. Although you probably aren’t going for the cover of “National Geographic,” it still makes your life easier if the images are clear. The Bushnell Trail Camera and Victure Trail Camera offer 12 MP images, putting them on par with the photos you’d get from other consumer cameras on the market. Since your image capturing won’t be limited to daytime, you’ll need to make sure the trail camera you choose can shoot decent images at night. The Victure Trail Camera will provide brightly colored images during the daytime hours, switching to black and white once the sun sets. The Browning Trail Camera uses infrared LED flash technology at night, which can call attention to your camera if you’re hoping to remain incognito. With the Bushnell Trail Camera, you’ll find that nighttime photos might be blurry due to the sensor’s problems with quickly following movement. Capturing photos and videos means nothing if you can’t properly save them. You can add storage to the Browning Trail Camera, which is compatible with memory cards of up to 512GB. 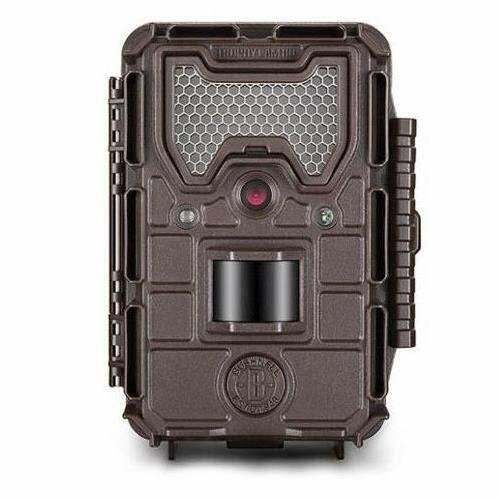 The Moultrie Trail Camera can accommodate memory cards up to 32GB. If you’re standing next to the camera and spot something, you’ll be able to play it back in some case. 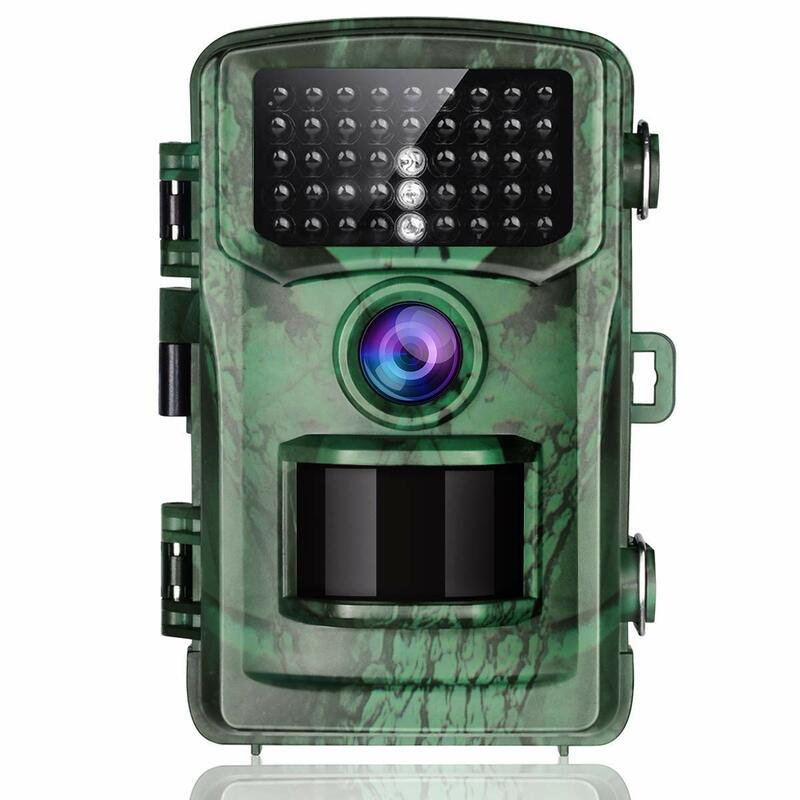 Victure Trail Camera has a 2.4-inch LCD screen that allows you to look at the photos and video you’ve captured. Whether you’re technically savvy or not, you probably don’t want to waste time setting up and managing your camera. The Browning Trail Camera has a more involved setup than other trail cameras, and the Victure Trail Camera requires a bit of a learning curve. Mounting a trail camera is a big part of owning one. Many trail cameras have a fairly straight mounting procedure involving a strap. However, since you’re likely leaving it out there unattended, you may want to consider investing in a lock for it. Python makes lock cables that are even available in camouflage colors to help your camera remain incognito. The smaller the camera, the more likely it is to remain inconspicuous to other hunters who come along throughout the year. The Victure Trail Camera is smaller than others in its field, measuring 8 x 4.8 x 3.2 inches. However, you’ll find many other cameras are only slightly larger than that. Price can be another big differentiator. Trail cameras tend to be fairly affordable, with the most expensive, the Browning Trail Camera, costing just over $100. The least expensive is the Victure Trail Camera, retailing for less than $50. For the Trail Camera category, we analyzed 58 of the most popular reviews including reviews from Game Camera World, Trail Cameras Reviews, BestReviews, Best Trail Camera Reviews, Trail Camera Lab, The Trail Camera Reviews and more. The result is a ranking of the best Trail Cameras.